Our Physical Therapy Department is unique in its approach to the restoration of health. 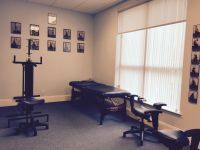 At The Balanced Body Center, we have brought together the best chiropractic and physical therapy techniques to provide the highest-quality recovery experience for our patients. Many physical therapy centers focus solely on the rehabilitation of the muscles after an injury. Our approach recognizes that the muscles are in fact the last group of tissues required to be rehabilitated. Our office is also fortunate to have both chiropractors and physical therapists working together to create the best recovery program possible. This phase of care is all about reducing pain as quickly as possible. Our office uses cutting edge technology to get fast results. This may include the application of electrical stimulation, ultrasound, moist heat, and ice to control, reduce, and/or eliminate swelling/edema resulting from acute and/or chronic pain. Performance of manual therapy techniques (e.g. myofascial release, trigger point work, contract/relax, and other soft tissue mobilization techniques designed to reduce the effects of muscle imbalances) are available at our clinic. Cervical and lumbar decompression utilizing the "3D Active Trac" decompression table is also offered in our office to help reduce pain from degenerated, arthritic joints and from disc injuries. Cold laser therapy treatment is also available with our MedX Laser system. This modality uses infrared light to reduce pain and stimulate healthy tissue regeneration. Repetitive Cervical Traction Benefits - Reduces stress in the neck and aids in the prevention and recuperation of injuries. Assists in the healing of disc bulges and disc tears. Re-hydrates/re-inflates cervical discs and keeps them young and strong. Helps restore normal cervical 'arc of life' and relieves tension on the spinal cord. Warms up the disc prior to an adjustment and prior to spinal molding at home so you can re-shape your spine more easily. Increases the function of the first 4 cervical vertebra to re-stimulate endorphin production (chemicals that block painful stimuli). Stretches tight neck ligaments and musculature. Six-Way Stretch Benefits - This traction is necessary for stretching chronic, splinted postural muscles. Helps to change the irregular muscle response and overcome the splinted memory. After the splinted muscle is stretched and warmed-up properly, normal function and memory can be retrained to support the body correctly. 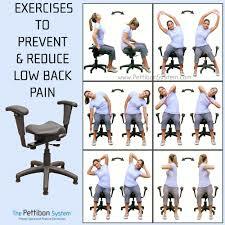 Wobble Chair Benefits - Adds strength and flexibility to the discs and ligaments of the low back. Reduces stress in the low back and aids in the prevention and recovery of injuries. Assists in the healing of disc bulges and tears. Re-hydrates and inflates the lumbar discs and keeps them young and strong. Helps circulate CFS (Cerebrospinal fluid--fluid that nourishes the brain and spinal cord). Massages heart (via central tendon) and reduces chance of heart attacks. Stimulates reflexes to hold correct posture (when wearing body weights). Enhances oxygenation of blood and stimulates metabolism, which is necessary for prevention of disease. Warms up the discs prior to an adjustment and prior to spinal molding at home to reshape the spine more easily. 1. Organic: Improves circulation, skin tone, bone density, and serotonin levels. Promotes lymphatic drainage, reduces stress, increases oxygenation of tissue, decreases cortisol levels, and boosts energy levels. 2. Muscular/Skeletal: Improves muscle coordination, balance, posture, mobility, and postural muscle strength. The vibration forces the muscles to work harder, thus allowing the benefits of additional head/shoulder/pelvic weights to be more effective. It also helps strengthen muscles so they can hold proper alignment after an adjustment. Postural Weighting Benefits - Corrects Forward Head Syndrome and overall posture. Relieves tension on the spinal cord, helping energy to flow easier from the brain into the body, restoring overall health. Relieves tension/stress on the heart. Promotes tissue oxygenation by increasing lung capacity. Relieves pressure and stress on degenerative discs and damaged ligaments so they can rehydrate/regenerate and heal. Strengthens weakened neck muscles and ligaments. When worn immediately after the adjustment (after cervical traction, wobble chair, and vibration therapy), the Pettibon body weighting system will help you hold and stabilize your correction longer to maximize your results. Usually this phase begins when flexibility, alignment, and symptoms have all improved. This phase incorporates all of the above activities and begins the use of isometric exercises developed to specifically address each patient's needs based on their x-ray results. The foundational strength of the spine originates from the tendons and ligaments. The most effective way to rehabilitate these tissues is through isometric exercise. Isometric exercise is defined by contracting a muscle group without any movement of the body. Our office utilizes specific fulcrum exercises and a device called the Link Trainer for this purpose. Fulcrum Exercise Benefits - Increases strength and flexibility of the muscles and ligaments. Forms and strengthens lordosis. Increases motion to the spine and begins remodeling process of scar tissue. Increases proprioceptive function in soft tissues to help support optimal spinal structure. Supports re-hydration of the discs. Alternating stretching/relaxing provides mobility vital for metabolic function, helping eliminate the cause of sore joints and physical stress. Link Trainer Benefits - Spinal muscles function in a linked chain to improve balance, spinal structure, and function. 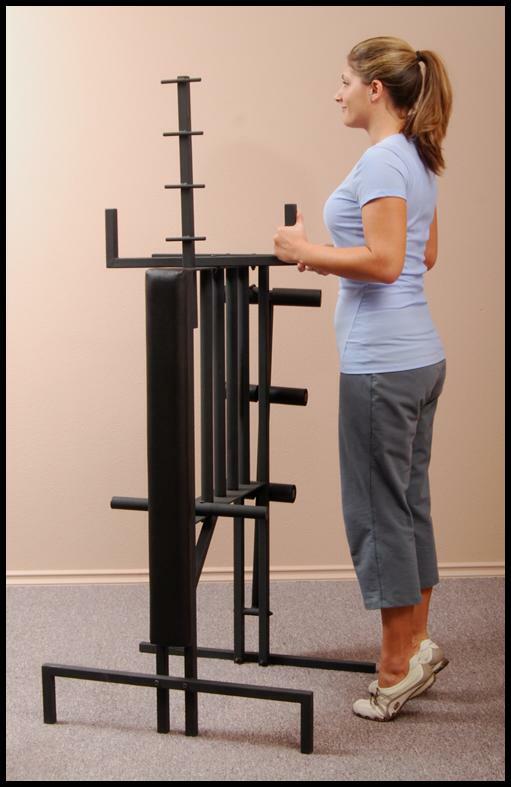 The Link Trainer is used to strengthen every spinal muscle, and thus reinforce permanent spinal and postural correction. It also strengthens the core which includes abdominal muscles, the gluteal muscles, the erector spinae musculature up the sides of the spine, spinal ligaments, and discs. Therapeutic activities/exercises for improved range of motion (ROM), muscle strength, and endurance. This consists of neuromuscular re-education techniques designed to improve/enhance your body's ability to function during your activities of daily living. Exercise is vital to rehabilitation and you will receive one-on-one professional assistance in tailoring an exercise program to fit your needs. Instruction in performance of personalized home-exercise programs designed to maximize the time spent in the clinic and enhance your ability to self manage your physical symptoms at home, work, etc. Exercise philosophy for treatment of spinal dysfunction generally includes "core" exercises designed to stabilize and improve the strength/endurance of abdominal/spinal musculature. 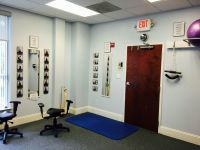 Additionally, instruction in proper posture and body mechanics at rest and during activities of daily living is essential to any successful rehabilitation program and is very much a focal point of our self-directed program.